Design and Construction of Emergency Repairs, Park Avenue Viaduct at 118ᵗʰ Street – KC Engineering and Land Surveying, P.C. 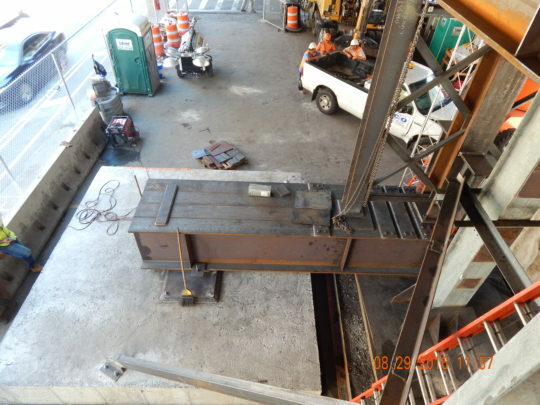 This design-build project consisted of providing structural analysis and details for the replacement of damaged steel columns supporting main MTA tracks on Park Avenue. 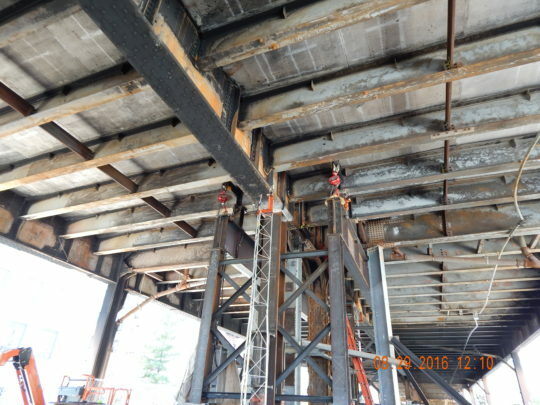 The steel structural details included lifting operations and lifting sequence, stiffening of the existing beams to control deflection due to train loading during the repair period, and design of replacement members as per AREMA Standards. KC served as Lead Designer on this project and completed the structural design in less than two weeks.